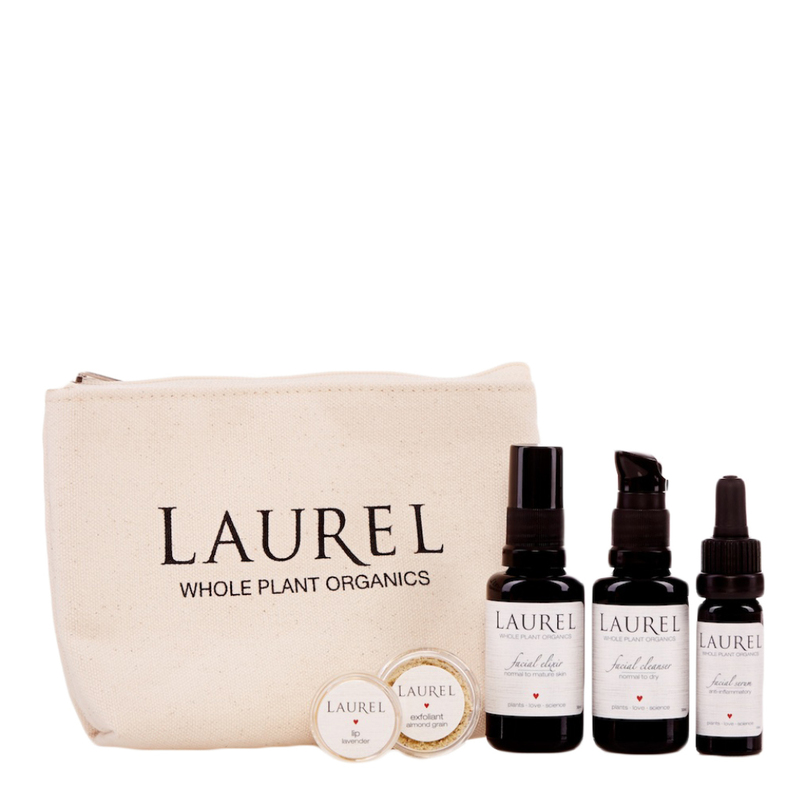 Discover the perfect ritual with this travel size facial skincare set by Laurel Whole Plant Organics. The whole plant organic blends included in this set are ideal for those with oily and acne prone skin, and are most effective when used exclusively. With a canvas zip bag made in the USA included, it’s the perfect set for travel or gifting. Follow directions on each individual product. Use Cleanser to wash skin, then mist Elixir directly onto clean skin, then apply 2-3 drops of Serum to moisturize, finish with a touch of Lip Treatment. Included is a two use trial of the Exfoliant.